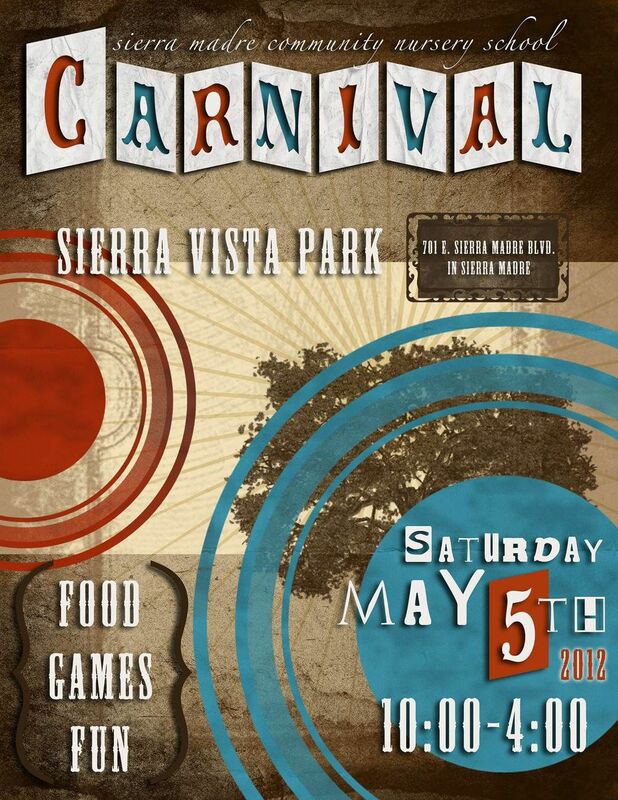 Posted 4/23/12 – On Saturday, May 5, the Sierra Madre Community Nursery School will host its annual Carnival in the Park. 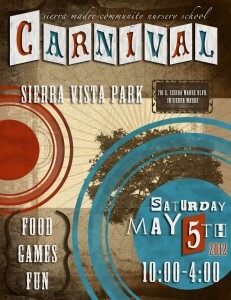 Enjoy more than 30 booths with food, games, face painting, pony rides, and a petting zoo. Stop by the silent auction booth and enter the raffle to win fantastic prizes. Don’t miss our great selection of plants, artisanal items, and baked goods – just in time for Mother’s Day. All proceeds from the carnival will help raise funds to benefit the local non-profit, parent participation nursery school. Carnival hours: 10:00 AM to 4:00 PM.